Eleina questions the US position at COP15. So far, many view Obama as being a leader who wants to push for climate change but his hands are tied due to the requirement of needing an agreement by the Congress for any legislation to be passed, i.e. to be ratified by 67 senators. However, this does not reflect the actuality. 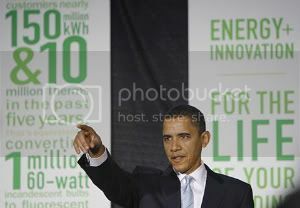 Obama can work towards reducing emission if he truly wants to. Through an alternative mechanism called Executive Agreements, Obama can choose to act unilaterally through a ‘sole executive agreement’ or a ‘legislative executive agreement’ which have been employed before by former presidents for various issues. This was the basis of arguments made by lawyer Ms Kassie Siegel. Obama can act if he wants to. So why isn’t he? Further, what caught my attention was Marcelo Furtado from Greenpeace statement that though the American’s elected Obama as their president, at the same time during the elections, the global community elected a ‘moral leader’ through him. And it’s time Obama plays the role we expect him to. True, Obama won the hearts of many (the man won a Nobel prize within a year of being president!). Now it seems that the world has pinned their hopes on a man they believe would be the answer to the leadership the world needs. But is Obama really the leader we should look at for strategic moves against climate change? Is Obama morally answerable to the international community? More importantly, we should consider: who is Obama dependent on? During the elections last year, when Americans elected their president, they focused not on what he would do for the world but in light of the economic crisis among other problems the US faced, they focused on what he would do for them. Thus, I believe the pressure shouldn’t be placed on Obama’s shoulders. He is NOT the person we are dependent on. Rather, the pressure is on the Americans to act. The persons we are dependent on are the people of the United States of America. The people have to see that Climate Change is their issue too. It is not a spoof but it is real and it’s time they stepped up and supported their president on this. Only will a nation wide support force the Congress to give in, or a leeway for Obama to deliver. This, to me, is crucial. As moral as Obama may want to be, he is dependent and answerable on his people. According to a survey done by the Pew Research Center for the People & the Press, fewer Americans are seeing global warming as a serious problem falling from 44% in April 2008 to 35% in October 2009. This is not surprising. Quoting the Worldwatch institute, ‘Americans have been subjected to many confusing messages this year from conservative media, fossil fuel-dependent industries, and politicians who question the scientific certainty of climate change’. Furthermore, members of the Congress are being lobbied more by those who oppose climate legislations rather than its supporters. Though, as argued as by Ms Siegal, Obama has been given flexibility in passing bills to support his aims which is constitutionally provided, his hands are indeed tied by the majority who do not believe in the cause. It is within this that our solution lies.